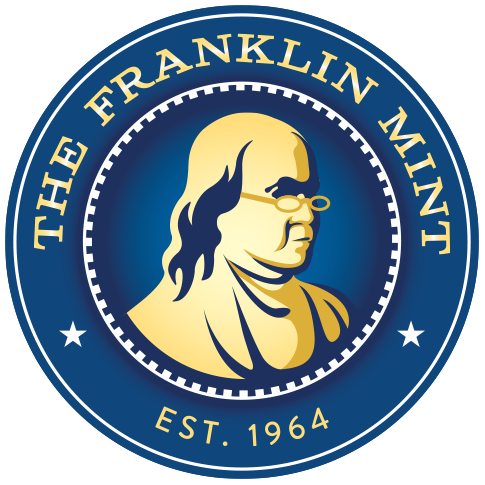 The collection includes five extraordinary U.S. coins that are seldom seem today. Each is a historic collector’s item with a memorable design, and together they make a collection of tremendous importance. 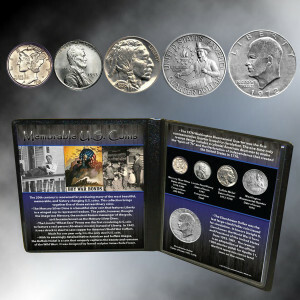 The Mercury Silver Dime features Liberty – not Mercury – but the public called it a Mercury Dime. 90% silver. The 1943 Lincoln Penny is the only U.S. coin struck in steel. 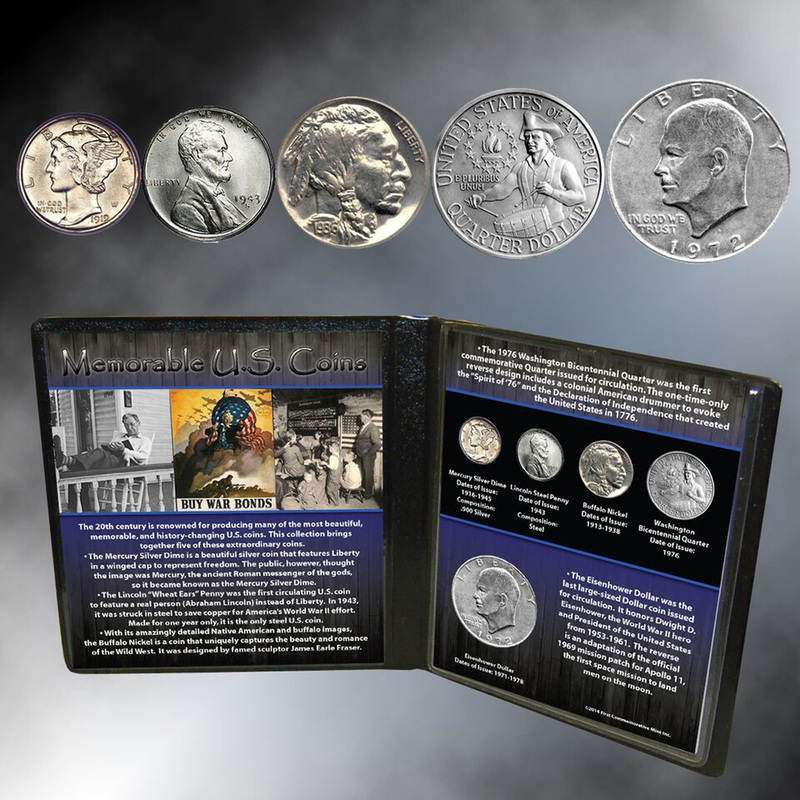 With its amazingly detailed Native American and buffalo images, the Buffalo Nickel is a coin that uniquely captures the beauty and romance of the Wild West. The 1976 Washington Bicentennial Quarter was the first commemorative Quarter issued for circulation.